The project aims at providing quality illumination based on clean energy to rural households in 10 villages for 18,000 people and thereby facilitate education of children, provide better illumination and a smoke-free indoor environment for women to do household chores, and provide opportunities for improved livelihoods. Some of the beneficiaries are fishermen needing to start their work in the dark. and Ancuabe Districts, Cabo Delgado, and 40 entrepreneurs, many of whom are women, have been trained to run these. 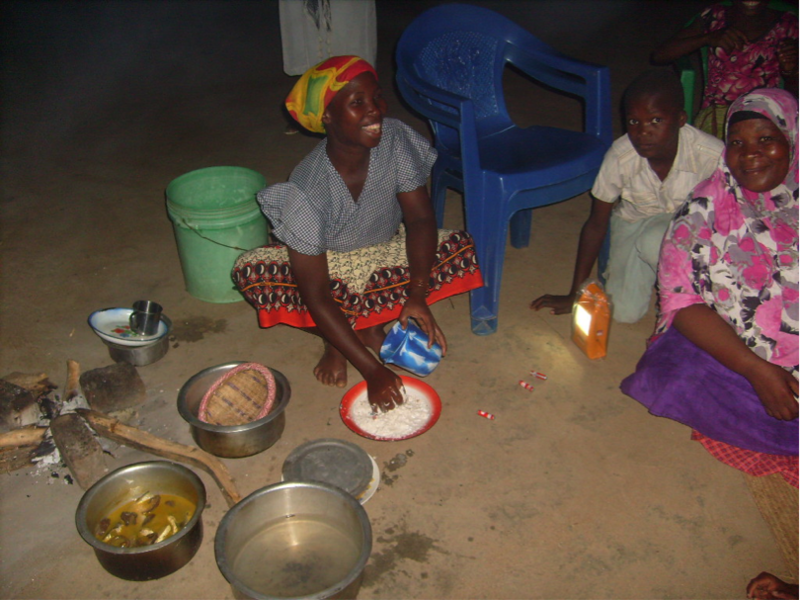 2,460 solar lanterns are every day providing light to families and 200 small enterprises. 200 local entrepreneurs have been trained to benefit from the possibilities of having solar lighting. Reduced cases of diseases caused by indoor smoke, since the lanterns means less use of fires (mentioned by 98% of interviewed persons). Started in July 2011 and ended in July 2014. Partners in the project are FUNAE (National Energy Fund, Mozambique) and TERI (The Energy and Resources Institute, India). Funded by The European Union, The GAIA-Movement through donations from The GAIA-Movement Living Earth Green World Action USA, Inc. and Green World Recycling Ltd. and funded directly by Green World Recycling through a donation of solar lanterns to the project. Open or download the final narrative report from the project (1.3 MB). EU Solar Energy Final Narrative Report. Watch the video on the Solar Energy Project implemented by ADPP Mozambique – Assista o vídeo do Projecto de Energia Solar implementado pela ADPP Moçambique.